Please note that this Panel IV will take place in Lecture Hall 2. The important link between culture and body has been long neglected to an extent that most BPT textbooks do not even list ‘culture’ in their indexes. This does not fit to our daily work especially with traumatized clients who left their homelands, voluntarily or forced as refugees and migrants. Panel participants will introduce their perspectives on the theme, speaking about their teaching and clinical background including their own personal experiences around embodied manifestations of culture. The relationships between macroscale: ethnical culture, society, socio-economic classes, political cultures and microscale – e.g. bodily looks, signs, symbols, rhythms, and symptoms will be explored and discussed. Julianne Appel-Opper, Dipl-Psychologist, Psychological Psychotherapist, UKCP Registered Integrative Psychotherapist, MUKAHPP, Supervisor (Univ. of Birmingham, U.K.), international trainer, visiting tutor at psychotherapy training institutes e.g. Norway, Rumania, U.K. since 2001. For 12 years she lived and worked in France, Israel, California and in the U.K. Since 2006 in private practice in Berlin. 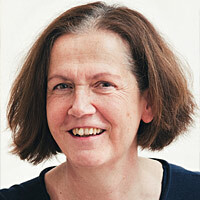 She has run international training programs about interbodily processes in Berlin for many years. Beside these themes, she has published on the interlink between body and culture since 2010. I will share my experiences in working with immigrant societies (USA, UK, Spain, Sweden), as well as the socialist points of view: in the West, being different is valuable, while in socialism – uniformity is valued through a sexophobic and patriarchal upbringing. Within traditional societies, the body is not an element of individuality but a commodity shared with the community. In modern societies, a person chooses their identity through the body (makeup, tattoos, piercings, plastic surgery). Personalising the body on the outside distinguished the Western from the Socialist ideology which emphasised on spirituality and boasted a neglectful attitude towards anything material. “The body during socialism" will be discussed in this event. 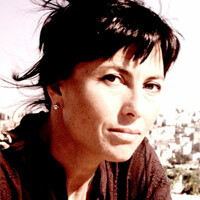 Madlen Algafari, Neoreichian analytical psychotherapist. Member of the Bulgarian Psychotherapeutic Association, the Bulgarian Neoreichian Psychotherapeutic Association, the Bulgarian Scientific Association, the Board of Directors of the Bulgarian Institute for Neoreichian Analytical Psychotherapy, the European Association of Body Psychotherapy, 20 years of experience as a body psychotherapist, lecturer in psychoanthropology at BINAP. Author of 10 books. After 16 years of working in the Middle East, Africa, Nepal and with refugees from different countries (sub-Saharian Africa, Middle East) I reflect on how the body is shaped by the culture and by the different gender stereotypes. Especially in traditional societies women and men desperately try (or are forced) to fit gender expectations and ideas of beauty, in order to be integrated and accepted (see Female Genital Mutilations, Genital Cosmetic Surgery increasing in Western countries/US, different psycho-pathologies concerning the body). My reflections consider the body as the storage of our experiences, especially traumatic experiences, which is very evident in refugee population. My experiences in working in Austria, England, France, Germany, Italy Switzerland, Russia, Japan, Brasil, Argentina, Mexico, Israel, Hungary, Spain, Portugal, USA leads me to be humble enough to learn about other cultures with the other cultures, usually they teach me what I need to learn and then we start some exchange. It is very important to acknowledge that you are the different one and not them. From this point we have a good start for a possible exchange of knowledge. I will be surfing in this area in my talk. 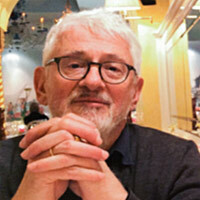 Rubens Kignel, Psychotherapist, Body psychotherapist. Doctor in Communication and Semiotics University of Bologna. Ex president and founder of Brazilian Association of Psychotherapy. Member of EABP since the foundation. Guest teacher at University of São Paulo. Independent trainer for different schools of Body Psychotherapy around the world. Founder and director of the Japanese School of Body Psychotherapy BIPS. We have to differentiate the multicultural, intercultural and transcultural perspectives. Working with somebody from another culture, as I do in China for many years already, is like an ethnological project. You know little about where you are, who the other is. Referring to another culture means to be open for psycho-social induction. This is connected with three aspects: 1. own awareness: perception differs from the other`s. 2. Transference has to include cultural transference. 3. Learning starts with “Ent-Lernen” (“to give up previous learning”). For me the important competence therefore is to be able to be astonished (like a professional child). 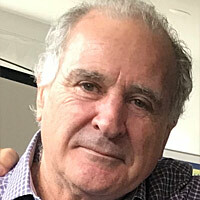 Ulrich Sollmann, Gestalt- and body psychotherapist (Bioenergetic Analysis), executive coach and consultant in the field of management and politics, publicist, book author, lecturer and blogger. Specific fields of experience: body language, nonverbal communication, transcultural communication, sexual and relational abuse, shame and the experience of Self, slow motion movement, leadership and personality, public and media scenario of companies, managers, politicians. Worked and published internationally especially in China since many years. Ethnological research in China. Current infant observation study on the development of body-self-competence. 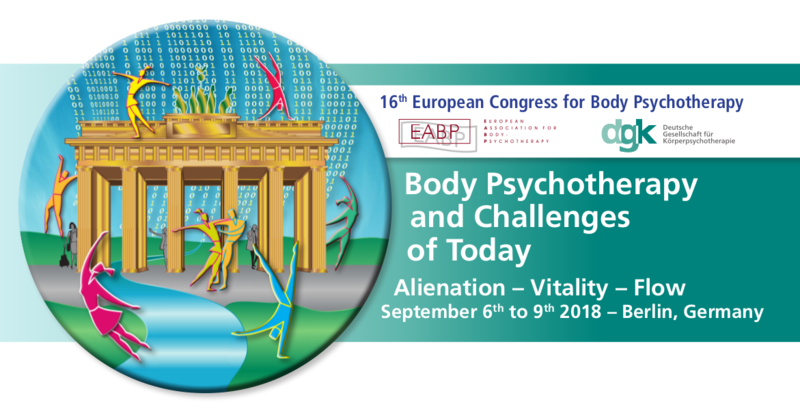 © 2019 16th European Congress of Body Psychotherapy.